This was created due to the high failure of the original OE design. 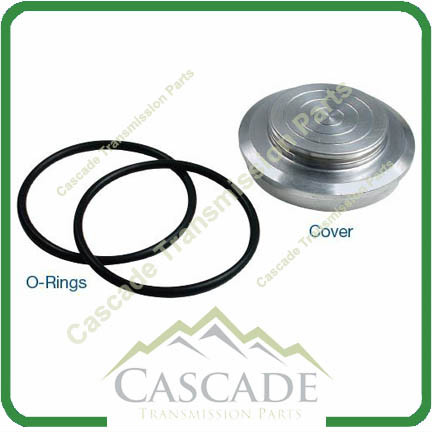 The OE 1-2 Accumulator Piston Cover has Poor Sealing Qualities and Rarely stays in the correct position. This Product is Machined Billet Aluminum and will Never break! Sonnax engineered this cover with Dual Sealing Ring Technoligy. This provides a great seal and ensures the cover will stay in position. This product is a Strong yet Lightweight alturnetive to OE accumulator covers.